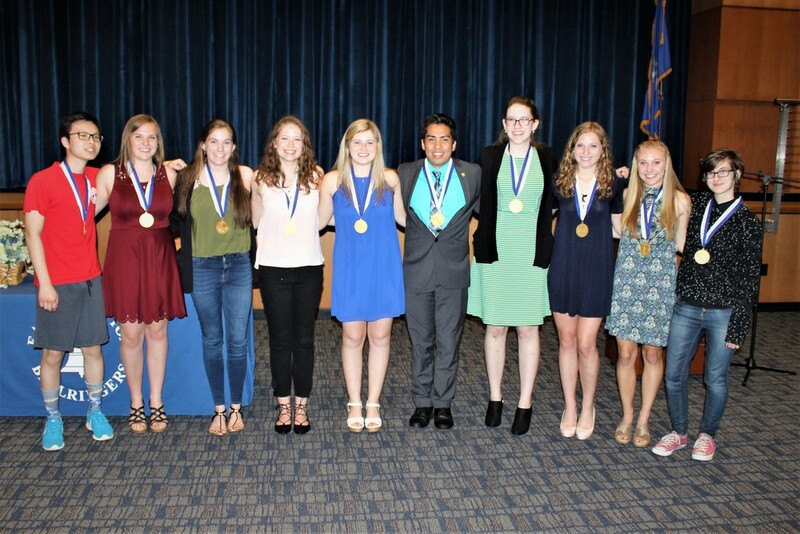 Congratulations to the Top Ten students of the East Hampton High School Class of 2017: Lap Hei Lam-Valedictorian, Jessica Marchant-Salutatorian, Christine Guerette, Amanda Thisdale, Brooke Roussel, Hunter Brazal, Rebecca Doney, Lindsay Dickerman, Emily Salisbury, and Emily Rovillo. The students were recognized Thursday evening, May 24 at the annual Senior Awards and Scholarship Presentations. The Top Ten will also be recognized at a reception at the East Hampton Public Librar...y on June 6 at 5:00 PM hosted by the Board of Directors of the Joseph N. Goff House and the East Hampton Board of Education. At the reception, the students will be presented with a gift and their phots and bios will be hung in the Library for the next year. The Top Ten student are also invited to bring and introduce an adult (teacher, coach, mentor) who has had the greatest impact on their education.